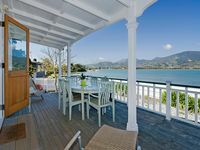 Property 3: Sunview Retreat - Absolute Value for money with Free Wifi and private BBQ areas. Property 6: Lavender Studio at the foot of the Richmond Hills. Property 29: Rural paradise studio with solar heated pool. 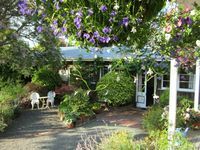 Property 32: Richmond Plains Vineyard Cottage with pool and FREE bottle of wine. Property 34: Beautiful Wisteria Cottage.Just arrive, relax and enjoy! Property 35: Renovated Barn + great views, new for Easter 18. Property 45: Absolute Waterfront - Perfectly Relaxing! Property 47: Quaint character cottage on working farmlet, Running Sheep & Beef. A delightful historical cottage with everything you need. Beautifully clean and warm and tidy. Quiet and peaceful with lovely gardens/tennis court/pool.. Our host Caroline was super friendly and delevered us supper fresh out of the oven. What a welcome! Wish we could have stayed longer. Highly recommend.